As mobile phones become more integrated with the way we live, it’s necessary to understand all of the choices available so you can make the right decisions based on you want from your phone. The number of different handsets, networks, contracts, and tariffs available can make it difficult to pick a new mobile phone. Our guide is here to explain the key features, newest technologies and buying options available, answering key questions and helping to determine which option is best for you. Think about what you want to use your phone for before buying. You won’t need a high-spec smartphone if you just need to call and text. If you’re looking for a cutting edge phone, check its specifications to see how suited it is to applications like photography, music, media, or playing games. Your phone runs on an operating system (OS). This software governs how it works, which app store is available, and how it interacts with other devices. You can customise your phone in various ways with each OS, creating a tailored layout that puts things where you want them. You’ll find that touch gestures and controls are similar on most phones, so using different models will feel comfortable and familiar. If you own a laptop or tablet, its OS can affect how easy it is to sync your devices and get them working together smoothly. Windows or Mac OS have unique ways to interact and sync with your phone. There are three main OS options available, each with signature characteristics and advantages: Google’s Android is the most common OS, Apple offers iOS (exclusive to iPhone), and Microsoft runs the Windows Phone. You’ll find Android on many different brands and handsets, so you’ll have more options to choose from. Android phones give you great performance with bold, clear interfaces. Google Play offers more than a million apps, so there’s sure to be one for what you want to do. If you’ve got Android tablets and other devices, it’s easy to get them working together to instantly share calendars, settings, apps and more. Stylish, fast and intuitive, iOS works seamlessly with other Apple devices like your iPhone, iPad, iMac or MacBook, making it simple to share apps, music, photos and contacts. You can only use iOS on Apple products, which means you’ll need to choose an iPhone. The App Store holds millions of apps, so there’ll always be fun and useful options available. A colourful, tiled-based homepage makes the Windows Phone easily identifiable. Each square has a dedicated function, and each can be easily swapped and removed – customise your home screen with the tile configuration you prefer. Choose from thousands of apps in the Windows Phone Store –there are loads of free apps, and others are available for trial before buying. For a fully connected experience, sync your Windows Phones with any other Windows devices you have, like your laptop and tablet. Screen size dictates how large your phone is overall, and the image resolution it’s able to display. There are more different screen sizes available than ever, so think about what you’re going to use your new phone for. For entertainment or getting work done on the move, a big screen is more comfortable for watching videos, gaming, or viewing documents. Remember that a bigger touchscreen means a larger phone, which can be harder to keep in your pocket or use with one hand. Do all smartphones support 4G? Newer smartphones can generally handle a 4G connection, but some may only work with 3G. Check if a phone supports 3G and/or 4G on the product page, in the specification section. 4G coverage isn’t nationwide – it’s easier to find a good 4G signal in cities or big towns, but 4G coverage is ever expanding. A 4G connection gives you quicker downloads, shorter buffering times for streaming, and shorter website load times. You’ll find a range of storage space sizes on different mobile phones – choose according to how much content you think you’ll save, whether it’s apps, games, photos or music. Your smartphone’s OS can take up some 4 GB of space, so if you pick a 16 GB phone, it may actually provide around 12 GB of practical storage. Helpfully, you can manage handset content in a number of ways, like streaming music, using cloud storage or keeping content on microSD cards (just make sure the phone has a memory card slot before you choose). What do I need to know about processors? Your smartphone runs on a ‘brain’ called the processor – so larger processors create a smoother experience with less lag. You won’t need a high-spec processor if you just want to use social networking, but downloading games, using multiple apps and the like will require higher processing speeds. See how many cores a processor has to get an idea of its capabilities – an octa-core processor or larger is a good choice for users who need more, while casual users may be satisfied with a dual or quad-core processor. Do more megapixels mean the camera is better? More megapixels don’t always mean a better camera. They relate to how much detail an image can hold and the size it can be reproduced at without quality drops. A 5-8 megapixel camera is usually enough for everyday situations like holiday snaps and social media uploads. You’ll be able to capture enhanced detail levels and make larger copies with more megapixels, but research individual camera features to see what your phone is capable of rather than using megapixel count as your guide. Which phones are best for watching movies? Because phones are available in different sizes, it’s best to choose a larger one to watch YouTube or Netflix. A ‘phablet’ is midway between a phone and tablet, and is ideal if you want a phone that’s a little bigger than normal. A 5” screen is considered large, and phones over 5.5” are within the phablet range. Check the screen resolution of a phone too – you’ll enjoy a clearer, more detailed picture on an HD or 4k display. If you just want a handset, choosing SIM free phone is a simple option with no frills or restrictions. What does SIM free mean? A SIM free mobile phone means you’re paying for the handset alone – you won’t be involved with a set contract or SIM card, and the phone won’t be locked to a specific network. Why would I want a SIM free phone? You’ll get more flexibility by choosing a SIM free phone, letting you pick the handset you want at the time you want it. Since there’s no contract to sign, you won’t be committed long-term at the time of buying. Since you can upgrade as you please, you can always have the latest tech. A SIM-free phone comes fully unlocked, letting you choose the network and SIM card you like best. It’s really important to choosing the right tariff, because it dictates your monthly bill rate and which allowances you’ll receive. Different tariffs apply whether you choose a handset tariff, or if you prefer a SIM-only tariff for a phone you already have. Handset tariffs – You can find many tariffs that include a phone at no cost or at a reduced upfront cost. Handset price is factored into your line rental, so it’s gradually paid off with each monthly bill. Contracts including a handset commonly run for 24 months. SIM-only tariffs – A SIM-only tariff generally gives you a lower monthly price and/or extra allowances within the bundle because you aren’t covering the cost of a handset. It’s also possible to pick a shorter commitment in the form of monthly rolling or 12-month contracts. There’s an upfront cost with some tariffs, which contributes towards your handset’s value. For a reduced monthly line rental, select a tariff with an upfront cost and repay part of the handset’s value when the contract begins. What’s the best network for me? Depending on your network, coverage will vary. A network’s coverage checker will help determine coverage in your area (including 4G coverage) - they’re usually available on network websites. If you commute a lot, check coverage at home and away. Each network offers different perks, including rewards like advance event tickets, reduced-rate entertainment services, or free WiFi in London. What is included in my monthly calls and texts bundles? Your monthly call allowances only include standard UK landlines and other UK mobile providers. This also applies to text bundles – they’re only valid to other UK providers. Generally, your bill will be charged if you exceed these limits, such as calling or texting internationally, calling premium-rate numbers or sending images by text. Call your network if you’re not sure what will incur extra charges – remember that each network will apply different out-of-bundle charges. How much data will I use per month? You’ll use data when you browse the internet, run apps and use maps or navigational services (amongst other things). Casual users may use up to 1 GB per month, but if you’re online a lot, it’s worth looking at 2 to 3 GB data tariffs. Those who stream and download content often will likely benefit from a 4 to 5 GB tariff or higher. To conserve data use, enable the WiFi setting on your smartphone and use WiFi whenever you’re in an available hotspot or home network - and save content downloads for when you’re connected to WiFi. If I order a 4G tariff, am I guaranteed a 4G connection? No - not all phones are 4G compatible. If you need to use 4G, ensure the phone you’re ordering supports a 4G connection. Will 4G use up my monthly data allowance faster? A 2 MB-sized website will use 2 MB of your allowance – this doesn’t change if you download it on 3G or 4G. Conversely, if you can download content faster, it may be that you’ll use up data by exploring more websites in the same amount of time. Can I get a free gift? Yes, a free gift is included in the monthly price for some handset tariffs. Knowing the difference between new and upgrade contracts is important, so you can decide which option suits you best. It’s possible to order a new contract, with a new number. Otherwise, you can order an upgrade contract, which lets you keep using your existing number on the same network. Each of these options is available as either a SIM-only contract, or with a handset included. New Contract – A good choice if this is your first contract, or if you’re moving to a different network. Should you move to a new network, you can choose to migrate (or 'port') your existing number. Upgrade – To stay on your current network with the number you already have, then choose an upgrade contract. You’ll get a new SIM card (whether you’ve ordered a SIM-only contract or one including a handset), and your existing number will keep working with your new contract. How do I carry over my number to a different network? To migrate your number, simply call your current network and ask for a PAC (Personal Authorisation Code) - you can only request this the contract associated with your current number has ended. Your existing connection will then end. Once your new order arrives, give the PAC to your new provider and the port will be completed within 3 to 5 days. Can I order a new contract with my current network and keep my existing number? For those currently using EE, Vodafone, or iD Mobile who want to keep the same number on the same network, it’s necessary to select an upgrade. O2 users can pick between an upgrade or a new O2 contract, and still retain your number - call O2 and request that your current O2 number is migrated forward. Will an upgrade contract always come with a better phone than my current one? You may not receive a better phone with each upgrade, but it’s always possible to order a better phone, remembering that the line rental cost relates to the value of your chosen handset. You’ll then be able to restructure your monthly payments based on what you need right now. Will I get a new SIM card with every mobile contract? Yes, whether you start a new contract or request an upgrade, you’ll get a new SIM card. 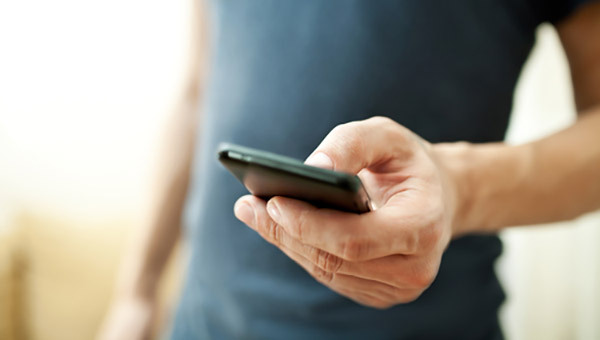 You can start using a contract SIM card as soon as it’s delivered, although upgrade SIM cards may take a short while to transition between connections. New phone contracts are subject to a credit check, but this won’t be necessary if you’re ordering an upgrade. Mobile phone networks carry out credit checks themselves.